Enjoy the Country Lifestyle on this 153 acres. 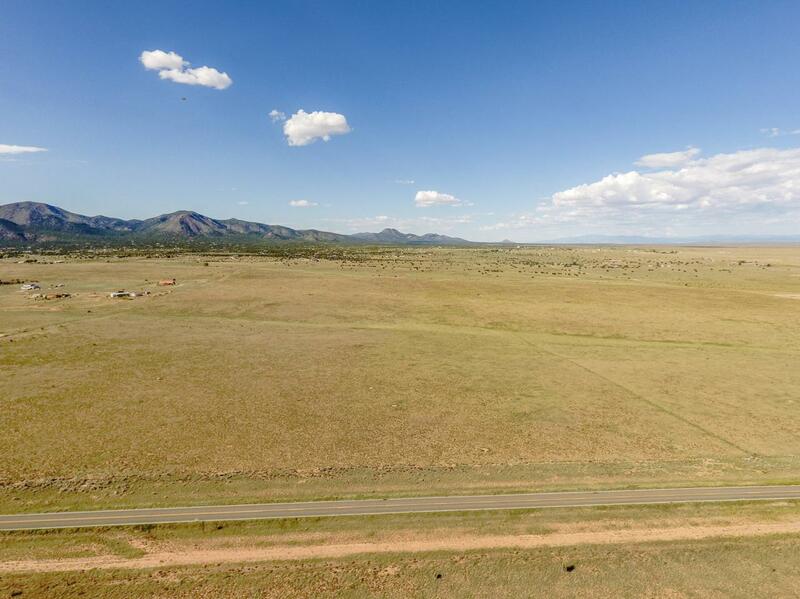 Rural, Private and Quiet Grazing Land ready for your start on that Recreational Ranch you have been dreaming about. Magnificent views of South Mountain and the Estancia Valley await you. Easy access to I40 and paved frontage on one side makes this the perfect place for that weekend getaway.Adjacent tracts of 80 to 500 acres are available. Owners would consider package discount. This tract is part of a functioning grass fed beef operation that has been in business for over 20 years. The total ranch is 821 acres, and available as a package.This property has excellent development potential with 2.5 acre lots allowed by zoning, Entranosa Water System, and all utilities on paved Highway frontage.